With its laid back atmosphere and kilometres of sandy beaches, it might seem odd to single out one small place in Australia as the ‘hippie surfer town’, but that’s exactly what to do when describing Byron Bay. Where others have tacky tourist shops, the small town centre of Byron has boutiques selling tie dye clothing alongside those selling wetsuits, stalls offering hair wraps are not uncommon, and there was even one man offering palm readings for a small fee. If the friends who I was exploring with are anything to go by, it is definately a place which can also bring out the inner hippy of anyone visiting. As for the surfing, unfortunately the windy and cloudy weather meant that was something I didn’t get to experience, but it’s not as if I don’t have hundreds more kilometres of coastline offering other opportunities. 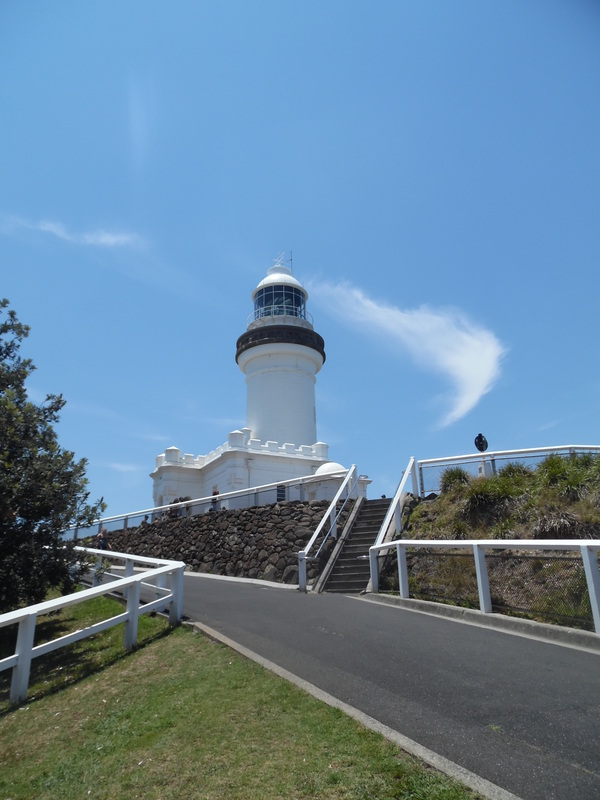 My time in Byron wasn’t limited to indoor activities though, as the hostel also arranged a guided walk to nearby Cape Byron, which is home to the most eastern point on Australia’s mainland. All three of them in fact. Easterly points 1 & 3, photographed from no. 2. 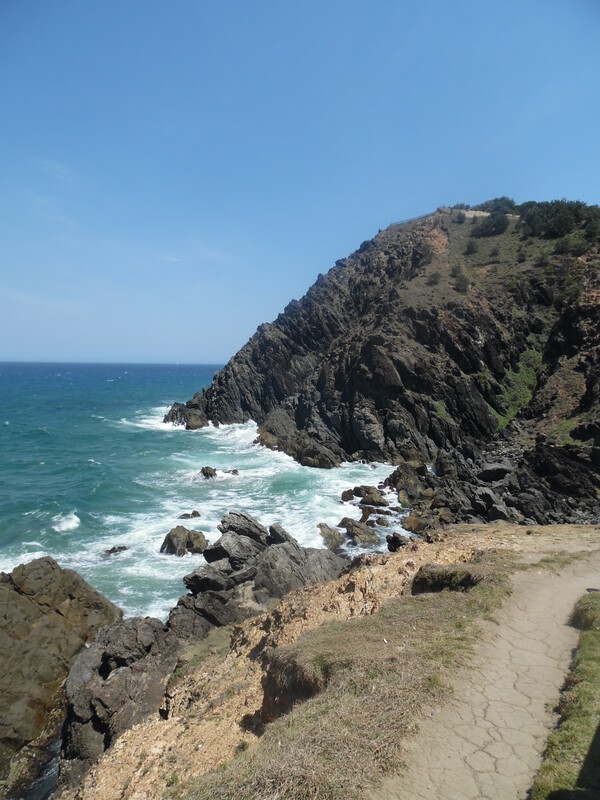 Just like most such geographical locations, there is of course a sign along the cliff line hiking trail which points out the particular landmark. Again like most such signs, it also attracts a lot of tourists posing for photographs. Further along the path is a lookout spot located right by the beach, which as far as I could make out, was more easterly than the sign on the cliffs above. Therefore I can only assume the sign is in fact meant to refer to the bottom of the cliff it has been placed on rather than signalling the most easterly point you can physically reach. As well as multiple seemingly singular locations, the local lighthouse is also situated on the cape, which since becoming unmanned now houses a small museum. Tours to the top are also available for a small donation. It’s not the size that counts. Lighthouses aren’t something I’ve given a huge deal of thought to before, but it’s amazing just how simple they really are; the light source itself is a mere 1kw bulb, similar to any ordinary household variety. The power to project this however, comes from the prisms which make up the fresnel lens, all of which are originals, and can project its beacon up to some staggering 20-something nautical miles. That’s a huge beam, shining over twenty miles, powered by a bed side lamp.